Since 1983, we have developed creative, safe and enjoyable playground experiences for thousands of children. 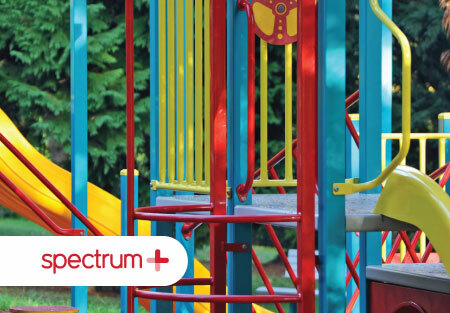 We have a proven track record within the playground industry for high equipment quality, innovative playground design, Standards compliance and impressive service. We have been supplying playground equipment for a wide range of clients including schools, early learning centres, local government, developers, landscape architects and commercial and hospitality providers for many years, with extensive installations Australia wide. 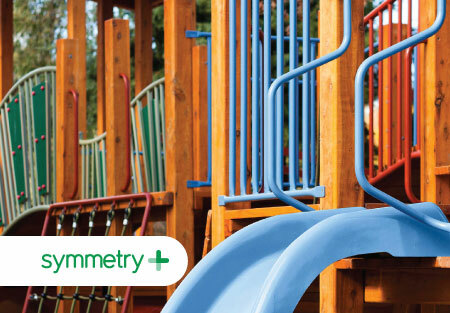 The wealth of experience and a practical working knowledge of the Australian Standards for playground equipment in Australia, manufacturing, and installation enables us to provide a complete range of services extending from initial consultation and playground design, through to installation, inspections, and service. Need help with choosing your new playground? Get in touch today by calling our team on 1300 237 587 or email us. We’re here to help you. If you are looking for some creative ideas for your upcoming public play space project, Clarinda Estate Play Space is a perfect example to study. Located in Cranbourne, Victoria, this is a play space you can’t miss; it’s massive, it’s got a huge range of equipment styles and is visually impactful. The landscape architect put a lot of thought into the layout of the space, ensuring that both junior and senior children where catered for. A wide concrete path surrounds the play area and cuts through the centre of the space, separating the playground into junior and senior sections. spectrum+ is exceptionally robust, powder coated galvanised steel equipment with a range of accessories in other materials. With an extensive choice of play activities and colour options, it combines versatility and high visual impact. symmetry+ utilises White Cypress timber as the main structural element because of its aesthetic appeal, and is great for coordinating with the surrounding environment or where large or irregular platform decks are required. 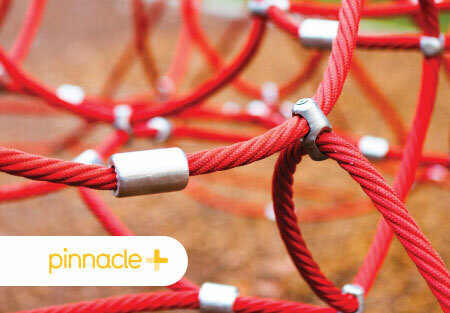 pinnacle+ provides the ultimate climbing challenge with a range of wire rope climbing structures. Featuring many non static play activities, it provides that 'something different' look and feel compared to the traditional playground. 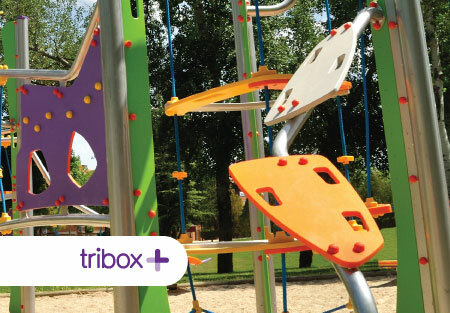 tribox+ is a contemporary styled range of play equipment and coupled with a unique range of play activities, the distinctive triangular shaped platform design provides the opportunity for interesting layouts to be created. 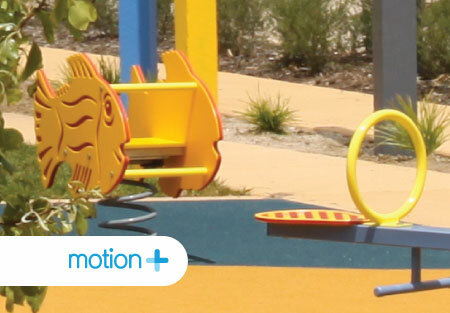 motion+ equipment is a range of activities that move, including swinging, rocking, twisting, bouncing and more. From traditional swings and rockers up to the exciting flying fox, it is action packed fun from start to finish. 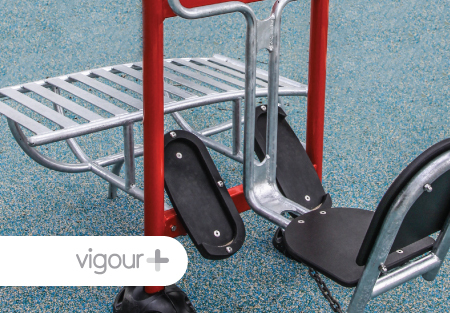 vigour+ provides and array of different outdoor gym equipment options for users of all ages to build and maintain their fitness. In a world often characterised by a harmful lack of physical activity, fitness training is the answer.